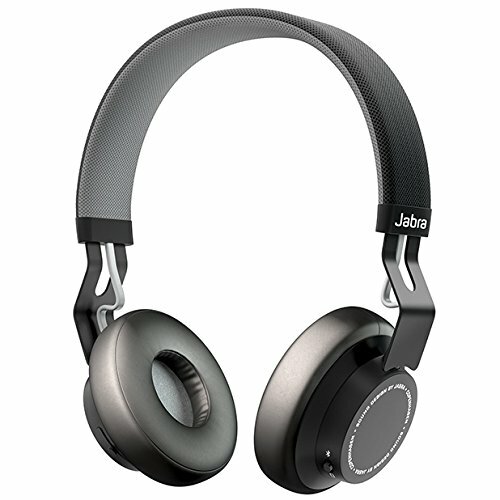 I have been using the new wireless headset from Jabra, the MOVE, for the last few days. If you are looking for a pair of wireless headset for use in the office or go walking while taking phone calls, listening to podcast or music, I recommend it. The MOVE came with a black box with a magnetically closed front flap. Openning the flap shows the headphones stored in a foam cutout underneath a taped down plastic cover. The packaging is simple and good looking. 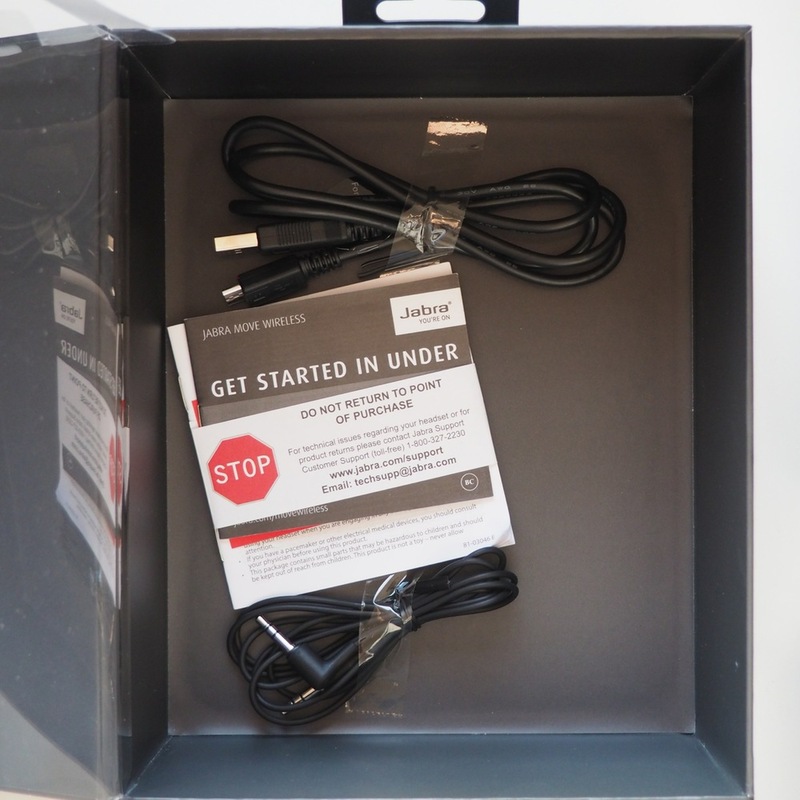 The only downside is that the small instruction booklet and the charging and optional cables are simply taped to the bottom of the box underneath a sheet of foam. For some strange reason, the user manual for the MOVE is not included in the packaging. You can easily download it from the Jabra website. 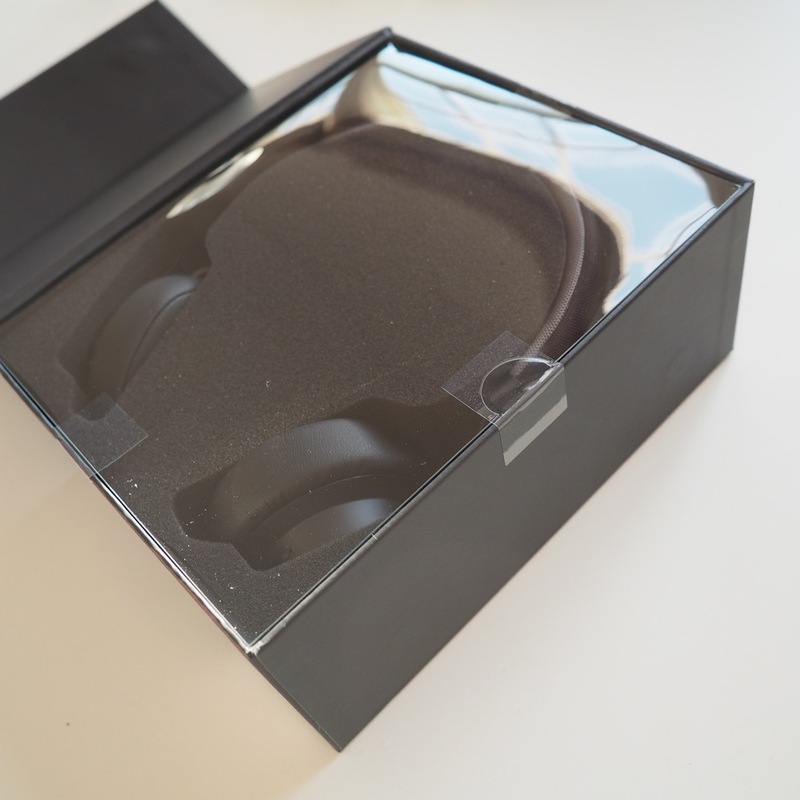 When I picked up the headphones, I was pleasantly surprised by the built quality. The headband is metal, with a lightly padded cover in nylon. Mine is black and grey. 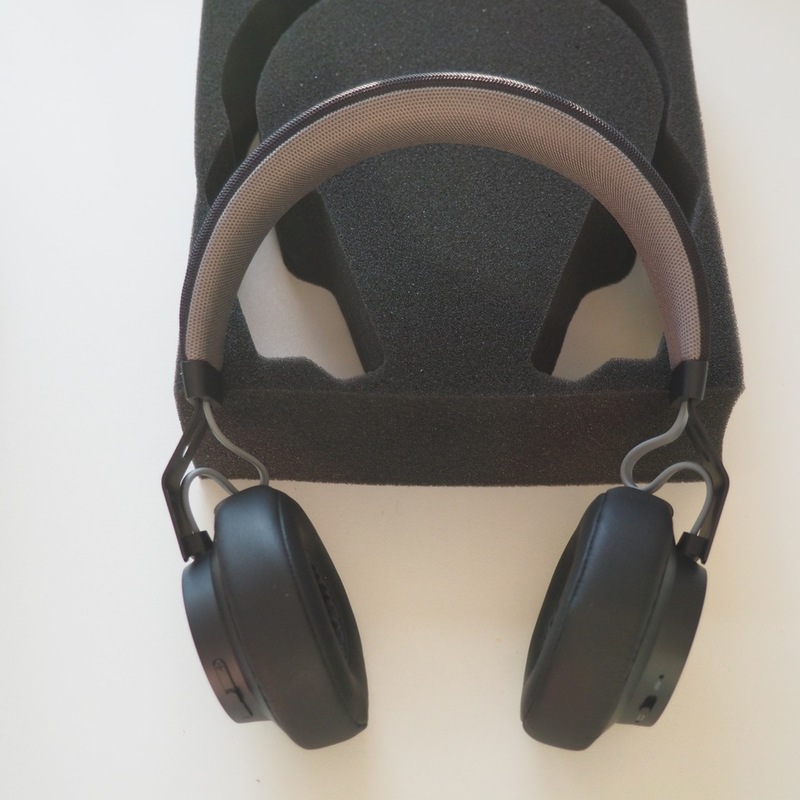 The earcups are covered with a very soft and well padded leather like materials. I like that the headphone is not too heavy,150g according to the specifications but 160.5g according to my own digital scale. The clamping force is light. I wore it for several hours at a time for testing, and it was comfortable. Sound leakage is very low -- if you use it in a quiet office your office mates will not hear what you are playing. The sound isolation is fair. You will hear muffled chatter around you, which I personally think is a good thing. When you have to have noise cancellation, go with the Bose QC20i. To give some context: my other pair of headphone I use in my home office is the Grado RS1, handmade in Brooklyn NY, powered by a DAC + Headphone amp. The entire setup costs 10x of the Jabra MOVE. Does the MOVE sound 10x worst? Not at all. I played jazz vocals, pop, rock and classical pieces on my Macbook Pro using iTunes and lossless (ALAC) files ripped from my own CDs. With the bluetooth connection, it is perfectly adequate. The lows are slightly muddled. 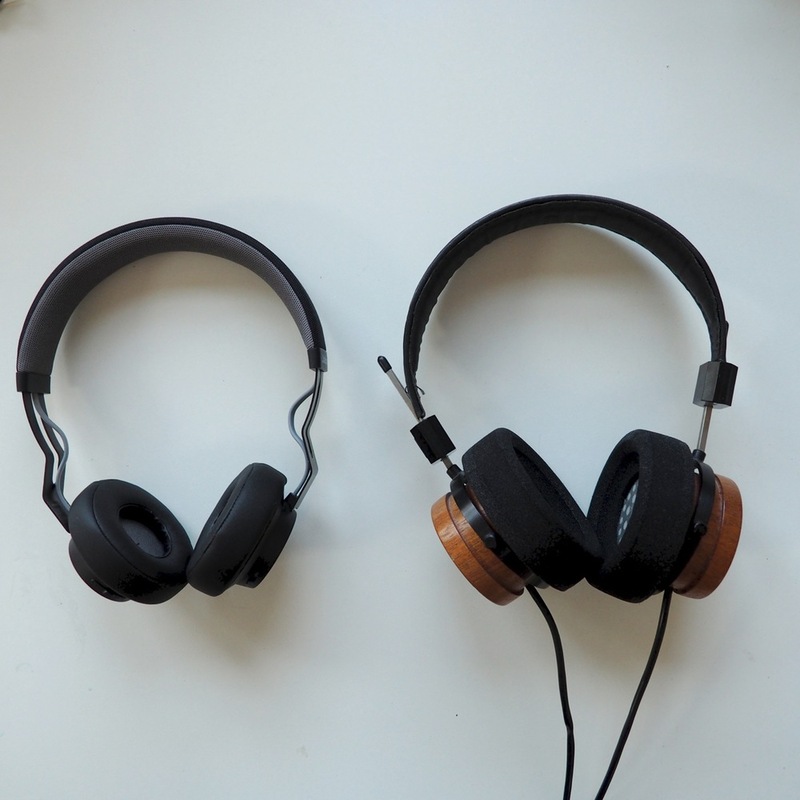 The soundstage is not as wide as the Grado. But it is still respectible, especially for a pair of closed back headphones. When I plugged the MOVE directly into the Macbook Pro using the supplied cable, the sound quality improves slightly. For me, this is the most surprised thing about the MOVE. The bluetooth range is amazing. I am used to my bluetooth headset I used for my iPhone to cut out when I move to the other side of my open planned first floor. The MOVE not only stayed connected throughtout the entire first floor of my 800 s.q. first floor, it retained the connection when I was up on the third floor! The paring process is super easy. There is no "code". Once placed in the pairing mode, by sliding the on/off/pair button to the top and hold it there for 3 seconds, it is easily discovered by both my iPhone and my Macbook Pro. The MOVE can be connected to both devices at the same time. I have not quite figure out how it decided to take priority between the two devices. I have music playing from the Macbook Pro, and when I use my iPhone, the iPhone audio takes over. After charging the headphones for about two hours to reach a "green light", I used the headphone non stop for the whole day hoping to run down the charge. Instead after about 8 hours, the headphones still report "battery level full". I had to leave it on for a full 24 hours to get "battery level low" from it. It seems like the MOVE will not auto power off on its own. I guess that is the preferred behavior, especially if you want to use it to take and make calls on a phone. So do not forget to switch it off at the end of the day. The MOVE does work with Siri. When I hold down the center of the volume rocker, Siri comes on from my iPhone 5s. In fact the MOVE is smart enough that, I can be playing music from my Macbook Pro connection, and a long press will still invoke Siri on my iPhone. For phone calls, I can hear the other party as well as a pair of wired headset. They can hear my fine without any complains. Add to the range of the bluetooth this makes the MOVE a very nice headset for phone calls. There seems to be just a single microphone on the bottom of the right ear cup. So I do not think there are any active noise cancellation. I have used the MOVE in the office when I want to listen to music and podcast and do not want to disturb my co-workers. I have used it on my excercise walks. The sound quality is good. The light weight and being wireless really won me over. I was eyeing the Sennheiser MM 450-X at one point but that costs three times as much. At this price point I think it is a good pair of headphones. It will be interesting to see if there are more competitors come on the scene. Disclaimer: Jabra provided me with this pair of Jabra MOVE for review, but the opinions are entirely my own, without bias.